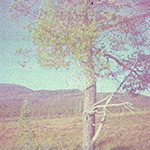 Adama is a new psychedelic rock band from Östersund, Sweden. Ruhin is their debut album and it was released this summer on a highly limited edition vinyl in nice gatefold cover as well as a digital download. I found the band by accident from one psych group in Facebook, and I'm glad I did. I don't know if they play a lot of shows but at least they were performing at the recent Copenhagen Psych Fest with bands like Moon Duo, Kaleidoscope, Spectrum etc. They fit really well into the present psych rock revival and the basis of their hypnotic, druggy and occasionally quite heavy sound is on bands like Velvet Underground, 13th Floor Elevators, The Doors, Spacemen 3, The Darkside, Loop, The Black Angels, Wooden Shjips just to name a few. The band uses lots of guitars, bass, drums and organ and all the tracks also have vocals. The album kicks off with the mid-tempo "Levitate" that sounds like the Finnish band Black Lizard, and no wonder with so similar influences. "Close Line Between" brings vividly to mind Spacemen 3 and Loop and I love it. Next, "I Was Never Here" is a faster, pounding space rock piece and another winner. The shorter, bluesy acoustic piece "Next to You" is a nice snack in between all the electric rock on the album but definitely not one of their strongest works. The laid-back "Stuck" has a very hazy Spacemen 3 mode. "Countless Nights" has a strong Velvet Underground vibe and more organ as well. Just one simple riff on and on and it works. The ten-minute swan song "Blind Horse" is a dreamy, druggy and garage rock like number with some cool guitar and a repetitive basic riff and beat. The track gets heavier and more intense on its way, and there's also some solo guitar work. Very nice ending for the album! Ruhin is a very promising debut by this new band, and I hope they will evolve and produce more stuff in the same vein since they really seem to have potential. The album is available in some record stores, but your best choice is to order it directly from the band: adamaband@gmail.com. Astral Visions Podcast #67 now @ Mixcloud! Astral Visions #67 now online, listen to great tracks by Drakkar Nowhere, Vibravoid Official, Sidewalk Society, Icarus Peel, ADAMA Band, Psychic Lemon, Our Solar System - Vårt Solsystem, Electric Orange, Will Z., Radio Moscow, Woodrue, The Band Whose Name Is A Symbol, Kikagaku Moyo / 幾何学模様 & Cosmic Ground. Enjoy the summer (or winter...)! "Experimenting the psychotropic properties of sound and exploring the power of the Elements in relation to the Platonic solids influenced by the Monomyth." That's how this mysterious Italian/American four-piece describes themselves and I'd say it's as good a description as any for their ethereal, atmospheric, psychedelic, dreamy, dark, weird and deep music. This very limited debut vinyl was released already in April, so I'm terribly late again with my review, but it's still available from some sources so better late than never. It's quite hard for me to say what music style this band with exquisite vocals belongs into. Sometimes they sound like a non-electronic, more acoustic/rock version of Massive Attack, there are some post-rock vibes, and a certain occult overtone for sure. All the five tracks are excellent. The album starts off with the slow, hypnotic, rather minimal and somehow creepy "In This Unforgiving Heat" that also has some mystical, Oriental vibes. The almost whispered vocals start after the middle, and I'm spellbound. "Dodecahedron, The Window Sphere" starts off slowly and in a dark, magical mode. It speeds up along the way but cools down at the end again. Mesmerizing stuff! "Tetrahedron" is the most beautiful, tranquil and dreamy song and perhaps my favourite. The piece grows a bit like GSY!BE and gets very powerful towards the end. Wow! "Transition From a Cube to the Octahedron" is another slow, very impressive song that transports the listener for ten minutes into some other, weird dream reality. The most hallucinatory track still is the last piece "Bird on the Wing as a Hinge" that's more like deep, dark ambient soundscapes with hypnotic, whispered occult vocals. Another highlight for sure and very trippy! Check out this band and try to get a copy of their LP before it's gone forever. 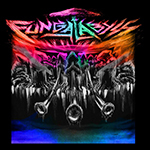 Fungal Abyss is a heavy, psychedelic & improvisational space rock band from Seattle. This limited edition LP is their first album on vinyl following three tapes and one split 7". I had not heard about them before, but this mind-blowing two-track monster alone made me a fan of theirs. There are only two heavy, side-long psych jams on the album. "Perfumed Garden" starts off in a rather laid-back manner, but soon gathers momentum and grows. There's lots of wild guitar, pounding rhythm section and psychedelic effects. I guess you could somehow compare this to bands like Eternal Tapestry, The Cosmic Dead etc., but Fungal Abyss are heavier, harder and have a more sinister, darker vibe. This is very powerful stuff and I love it! The track gets a bit more experimental towards the end but stays heavy and very trippy. Wow! On the flip side "Virile Member" starts to rock out almost immediately and it is another heavy, spacey brainticket to the other side of the universe. There is a little bit of relief in the middle, though, and some Hawkwind vibes I think. Lot's of guitar solos, energetic playing and my mind sure starts to melt! You can also hear some keyboards towards the end which is cool. This band is maybe not for the faint-hearted but if you fancy your space rock raw, heavy and all over the place, then you definitely should buy this album! U.K. psychedelic torch-bearers Earthling Society should be familiar to all Astral Zone readers by now, since they have been around for over ten years now and I have reviewed most of their releases. Sweet Chariot is their first album on the excellent German label Clostridium, and as always is the case with their releases, there is also a really cool die-hard edition with lots of extra goodies and this time on blue/red spilt coloured vinyl... Limited to just 97 copies, so it might already be hard to get, but there are also two other limited edition vinyl versions available. I've been following Fred and the guys since the first album was released in 2004 and they never stop to impress me. Although you can of course hear some influences of 60s/70s/80's/90s psych/space/kraut/prog rock and acid folk, Earthling Society still somehow manage to sound like themselves. 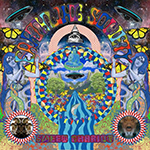 This time I do sense more influences from the Acid Mothers Temple, for example, but the album has its own magical, mystical and esoteric aura that very few bands can handle these days. The album starts off with the very hallucinogenic, mid-tempo rock piece "Eddie" that has some Japanese spoken samples in the middle and loads of mind-altering effects. Superb! "All in a Dream" is a beautiful, dreamy acid folk song with nice vocals, some great guitar playing and spacey sound effects. The end part gets very experimental and far-out, I warn you... Also the next track "When a Child Cries and Angel Sighs" has that magical, psych/acid rock feel with wonderful Mellotron sounds and lots of space sounds. I like the way Fred uses effects on his vocals too. This one has great melodies. On the B side, "Sweet Chariot pt 1" is pure experimental, floating ambient soundscapes that lifts you high upon the ground for eleven minutes and more. On "Sweet Chariot pt 2" the AMT influence starts to shine though more and things get much more noisy and freaky. This will fry your brain! Another amazing album by Earthling Society that sounds so nice on cool high-quality vinyl! I hope that Clostridium will release more stuff by this great band. 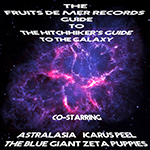 Various Artists - The Fruits De Mer Records Guide to the Hitchhikers Guide to the Galaxy 7"
Although originating from sunny California, Sidewalk Society certainly seems to be obsessed with 60s UK psych. 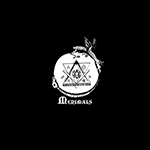 They have previously released one digital album and one album on vinyl and CD with all original tracks as well as one cover 7" on Fruits de Mer and taken part in several FdM cover compilations as well. This four-track 7" EP that will be released next month features two songs penned by young David Bowie, one of this power trio's greatest heroes, and two by The Action. For your information, the tracks were recorded way before our Star Bowie faded away from this plane. "Can't Help Thinking About Me" was originally released on a single by David Bowie with The Lower Third in 1965. 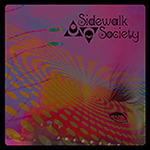 It's a great, energetic early mod/freak beat track that sounds quite a lot like The Who, and Sidewalk Society do a great job on it. Their version was previously released on the rare "members-only" Bowie compilation on Fruits de Mer. "Look at the View" by The Action is a bit more cheerful and happy, not bad at all. "Let Me Sleep Besides You" (single track from 1967) is an atmospheric mid-tempo pop track that somehow brings to mind The Moody Blues. Well done, once again. The EP is finished with "Strange Roads", another The Action mod/psych tune that also works splendidly. So in summary, this one is a must for Bowie fanatics and Fruits de Mer collectors alike! 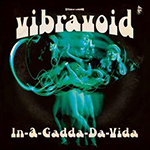 Europe's leading psychedelic acid rock band Vibravoid has been playing Iron Butterfly's lengthy hard rocking 1968 hit song "In-A-Gadda-da-Vida" live for some time now and also released their live version on Loudness for the Masses 2LP last year. With their psychedelic groove, mind-bending sound effects, druggy vocals, mind-warping guitar and talented, authentic 60s sounding organ player the track is somewhat perfect for Vibravoid to cover. In August they will also release this heavy psych monster on a limited seven-inch single as a studio version! The track has been edited down to "just" ten minutes and divided as Part 1 and Part 2 for two sides of the single. But don't worry, there's even a short drum solo in there finishing Part 1 as well as psychedelic jamming so the vibe is intact! The sound is totally amazing and you just can't help grooving to these catchy melodies and punchy rhythms. I'm in love! Get this single fast or you will miss out on a real gem. 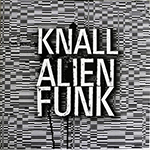 Knall is a German band playing instrumental, psychedelic, groovy and funky krautrock. They have released two studio vinyl albums (the second one a 2LP) last year on Krauted Minds and Tonzonen but I somehow missed those. Their third album Alienfunk is a live album recorded at Monsters of Krautrock Festival in Würtzberg, Germany. Apparently also their studio albums are recorded in one take without overdubs and in a very inspirational mode and the sound quality is great here as well so there might not be that much difference. 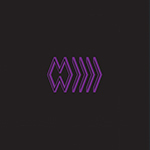 This one is also available on CD, as well as two different, limited double vinyl editions. I'm having a little trouble trying to think of some similar bands to Knall, but probably Guru Guru is the closest I can come up with. This is not overtly psychedelic and not really spacey either, but has a cool groove and often tends to be rather repetitive and hypnotic, but definitely not in the motorik Neu! way. Maybe there's some Can in there as well. The rather distorted guitar sounds rather 80s on 90s and the two bass players (one with lots of effects) give the band an unique flavor. All the guys are great players and play together really way. I'm not sure, but all of this might be improvised, and if so, well done! The tracks are all long (6:46 - 17:38) and rather experimental and weird. The title of the album is pretty suitable as there's a certain alien quality to the jams and there for sure also is some funky parts in there. My favourite is probably the last track "Epilogue" that rocks out in an energetic mode and makes you want to dance. I'm sure this band works best experienced live and out of your head in some modern hippie festival, I hope I will get the chance one day! The Band Whose Name Is a Symbol is a cool Canadian instrumental and experimental psych/kraut/psych/space/punk rock band that was formed in 2008 but has only recently been introduced to Europe and the U.K. by the great Cardinal Fuzz and Drone Rock Records in the U.K. I only heard of them when their latest album Masters of the Molehill was released last year, check out my review here. They have a full, a bit raw and lo-fi sound made with guitars, bass, drums, electronics, keyboards etc. and often bring to mind some of the psychedelic forefathers like Hawkwind, Guru Guru, Amon Düül II etc., but blend perfectly with the modern underground psych rock boom. They have released quite a lot of vinyl albums on their own Birdman Sound Records, but in tiny quantities like 100 or even 40 copies. Three of those albums (Versus the Purveyors of Conspicuous Authenticity 2010, Scrappy Little Jaw 2013 and Pathfinder 2014) were just recently released in a nice foil stamped box with covers and inserts but again, only 148 copies were made available which meant that even I didn't preorder a copy in time... So why write a review based on a digital promo of a already sold-out, very rare item? Well, just because I really dig this band and appreciate what Cardinal Fuzz is doing! Also, small numbers of these reissue LP's are available individually. I'm not going to go through all the tracks separately since there are twenty of them and you can hear them all at the band's Bandcamp site. Most of the tracks sound pretty much improvised and usually have some heavy (sometimes even metal) guitar and a rocking, sort of deranged, acid punky attitude not unlike ST 37, but there are also more relaxed, dreamy tracks as well as more experimental, avant garde stuff. I seem to prefer the more motorik, krautrock-like pieces. If you are into heavy, raw, weird and psyched-out instrumental rock music you definitely should check this band out!